Styled in an elegant kiss design, this beautiful bangle is crafted in polished 9ct white gold for a fresh, modern feel she'll adore. Set with glittering cubic zirconia stones, this versatile accessory will add sparkle to every occasion. 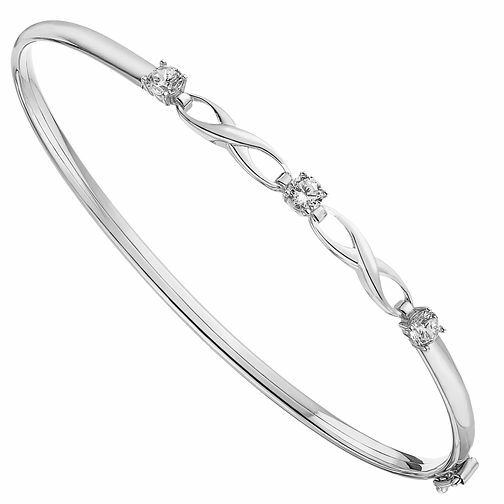 9ct White Gold Cubic Zirconia Set Kiss Bangle is rated 4.5 out of 5 by 2. Rated 5 out of 5 by Anonymous from Timeless A stunning piece of delicate jewellery fit for any woman as a very special gift .